IRNA – Nowruz, the first day of spring, that marks the new year for a large number of people is celebrated across the world, from the Central Asia and the Middle East to the Balkans. Turkey is among the countries where Nowruz has also a special status. Nowruz is Yenigün in many Turkish speaking countries of Central Asia. 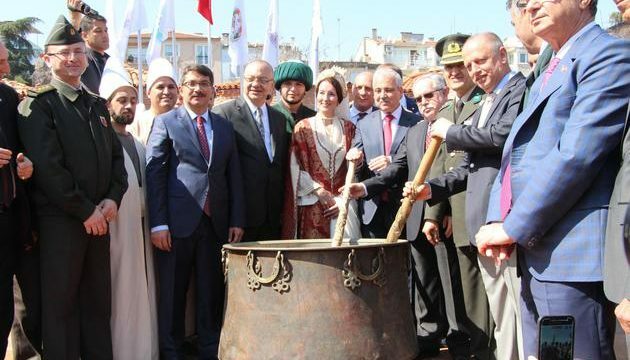 Some communities in the region have been celebrating the occasion since thousands years ago; however Professor Ilber Ortaylı, prominent Turkish historian, believes that Nowruz is originally an Iranian festival. In Mersin-Silifke, southwestern Turkey, Turkmen people used to shoot in the air to mark the day. In southern Turkey, Gaziantep, Nowruz is called ‘Sultan Navriz’ meaning King Nowruz. In Giresun on the Black Sea coast, the occasion is celebrated as the harvest season. For many people in various parts of Turkey, the beginning day of spring is the symbol of bliss and felicity. Despite the traditional and historical importance of Nowruz, the day lost its significance in Turkey due to political reasons after the fall of the Ottoman Empire. Kurds in southeastern and eastern Turkey, however, continued to celebrate the day over the past decades. The occasion gradually gained prominence as a symbol of resistance for the Kurdish people. Therefore, Nowruz as a day of protests has been a challenge for governments in Turkish in Kurdish majority regions. But finally, at a special event in 1994 in Ankara, senior Turkish officials came to terms with Nowruz rituals. Turkey’s Ministry of Education in 2005 called on educational centers in the country to introduce March 21 as one of national festivals to students.